I’m a newbie and currently trying out the reduced price first month subscription. I love the lesson style of Chinese Pod, but my problem is that newbie lessons seem to be brought out infrequently in comparison to the higher level classes. I am questioning whether I should try another provider more aimed at my level? I find the video content much more engaging than the audio only content, but there are only two newbie vids in comparison to nine in the elementary category! Sorry to moan, but the videos that are uploaded have been super useful; I just want more! …where I replied with this. * However, I will discuss your comment with the team because it’s clearly an important and useful feature. Thanks for your interest, and we’re glad you liked the video format. At the moment we’re mainly focussing on Elementary lessons and Qing Wen lessons when it comes to video. 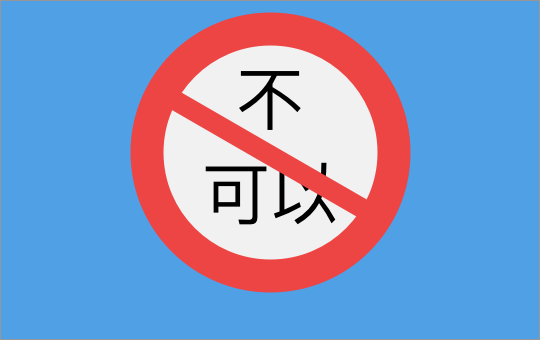 A while back, ChinesePod decided to stop making Newbie lessons since there is only a finite amount of language that can be taught at this level (for more about this, check out 1:52 onwards of this show where John Pasden explains). We usually recommend listening to 50 newbie shows before graduating up a level. I think you can start earlier than this, by mixing in some elementary lessons into the mix. Also, since you’re a newbie, we recommend you check out the Say it Right series of videos to get you started on the right path to pronunciation and don’t make bad habits. This is not to say we won’t make Newbie videos going forward, but at present we are focusing on Elementary. I really appreciate the response. Apologies for not noticing the response to my previous question, I’m still figuring out how the system works. I’ll try working from the newbie audio tracks, and maybe dip my toe into the elementary material when i’m feeling brave. I think that the amount of newbie lessons is more than enough. I used to think the same, that more were needed, but then came to realise that newbie lessons are just that, newbie. There are more than enough for any person to move onto the elementary levels. To make more newbie lessons would simply be a waste of time. The faster you move onto elementary and then slowly push up to intermediate the better. Try four newbie lessons a week with one elementary lesson for a while, then steadily increase the amount of elementary lessens and decrease newbie lessons. Do the same for the next step, four elementary lessons and one intermediate lesson per week. That’s a good suggestion. Having said that, we are looking at a way to turn some of the pre-existing newbie lessons into a structured playlist with some videos added. This will hopefully guide users onto the elementary levels faster. Thanks so much for taking the time to reply to my comment. At present, I have moved on to the elementary lessons and am taking them very slowly. That said,they are not inaccessible and I find the content much more engaging. I get that there are loads of Newbie vids, but I think that a few more practical options (such as how to hail a cab, tell the time etc.) with video could be really useful. I am in the middle of solicitor’s exams hell, but when I am out the other side I may well pick up the pace with the lessons.